We are pleased to announce that Nora Okja Keller will be the keynote speaker for the 2016 Ko`olau Writers Workshop. 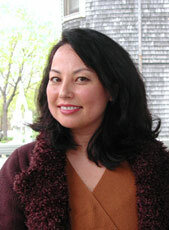 Keller is the author of the novels Comfort Woman and Fox Girl. Her work has been highly praised by critics in such venues as The New York Times, The Guardian, The LA Times, and many others. Keller has won a Pushcart Prize, an Eliot Cades Award, and an American Book Award. The event is scheduled for April 9th, 2016. A detailed program–including a full list of teachers–will be available soon.